Filipo Nakosi’s outstanding late individual effort helped Toulon to an incredible 33-30 triumph over Stade Francais at the Stade Mayol. Nakosi had already scored early in the second period but Patrice Collazo’s team went into the final few minutes 30-23 in arrears. However, Louis Carbonel crossed to give them hope before Nakosi received the ball on the right, chipped ahead and recollected to dramatically win the match for the strugglers. Stade will wonder how they lost after controlling much of the contest, but Heyneke Meyer’s men were eventually made to pay for failing to convert their opportunities in the first half. Toulon were regularly cut open, yet they somehow managed to hold on, and Daniel Ikpefan’s try and Francois Trinh-Duc’s three-pointer kept them in the game at the break. Hendre Stassen had given Stade a 7-3 advantage and the back-rower also went over in the second period, which seemingly opened up enough of a cushion to claim the win, but Toulon refused to go away and stunned the play-off chasers. Meyer’s side had been starting to re-find their form from earlier in the campaign after securing three consecutive victories in the Top 14, but this was a significant setback. With Nicolas Sanchez directing operations at pivot and the powerful Jonathan Danty playing well at centre, all was set for a victory for the Parisians. They could only take one of their opportunities in the first period, though, as Piet van Zyl superbly dummied and found the supporting Stassen, who crossed the whitewash. That gave them a 7-3 buffer – Trinh-Duc had kicked an earlier penalty – and Stade went in search of another score, but Sanchez’s poor pass was pounced upon by Ikpefan and he went 95 metres to cross the whitewash. Sanchez levelled matters from the tee but the away side should have been further ahead and they were made to pay at the start of the second period as Trinh-Duc moved Toulon in front. Meyer’s men responded, however, when Sanchez went through some flimsy tackling to score, before Josua Tuisova and Nakosi combined for the latter to restore the hosts’ three-point buffer. It was a topsy-turvy encounter and, after the Parisians’ fly-half had equalised from the tee, Stassen went over before Carbonel and Jules Plisson traded three-pointers. At that point, Stade were 30-23 in front but tries from Carbonel and Nakosi in the final four minutes somehow snatched the win for Toulon. In the Top 14’s early encounter, Toulouse moved to the summit, ahead of Clermont Auvergne, following a comfortable 29-16 triumph over Grenoble. Sofiane Guitoune touched down twice while Matthis Lebel and Clement Castets also crossed the whitewash as they eased past the relegation-threatened visitors. 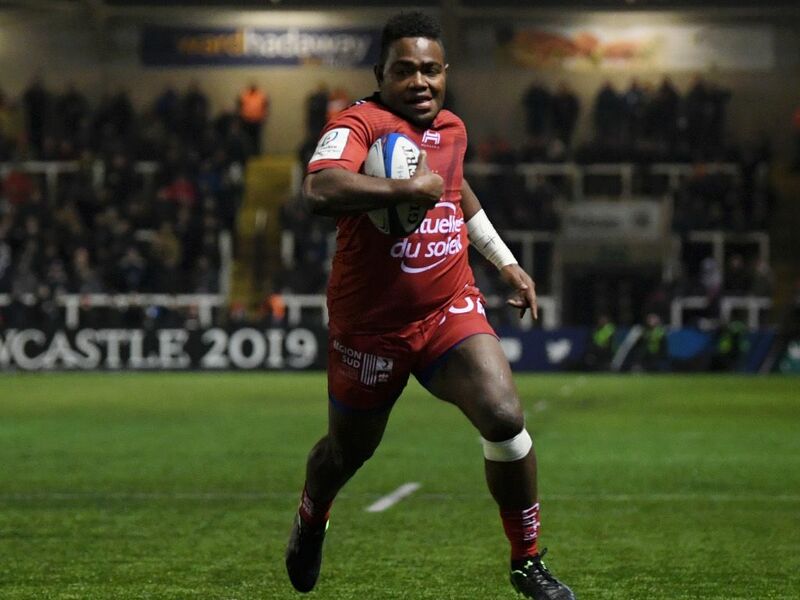 Mike Tadjer did respond for Grenoble and Matthieu Ugalde also kicked nine points but Les Rouge et Noir were far too good at the Stade Ernest-Wallon.